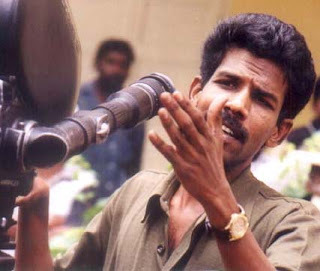 Director Bala was quite sure regarding his product and his optimism certainly paid off. But all the criticism melted away later and the film’s popularity grew with public support. Now Bala is recieving tons and tons of praise. Hearing the word-of-mouth views, people started arriving in droves at theatres to view the exceptional story and its close-to-life characterizations. The success of the Yuvanshankar-Ajith duo so far, director Saran has rightly decided not to break their team. So it will be Yuvanshankar Raja who will compose the music of Asal, not Harris Jayraj as stated earlier. Though it is might sound superstitious, having Yuvan compose music has always worked well for Ajith. Yuvan’s music played a phenomenal role in Dheena’s success; so was it in Billa (2007); and Aegan’s music was a massive hit. Asal is Ajith’s 49th film, Produced by Sivaji Productions and directed by his favourite Saran. The duo has created three super hits till now – Kadhal Mannan, Amarkalam and Attagasam. Kamal Haasan, Mohanlal, Ajith and Shruthi Haasan all in the Same Movie -Thalaivan Irukiran..
Universal Hero Kamal Haasan has commenced his remake version of ‘A Wednesday’. Titled ‘Thalaivan Irukiran’ in Tamil, the Telugu version has been named as ‘Ee Nadu’. The shooting had hit the floors before couple of days in Hyderabad and would be simultaneously filmed in Telugu and Tamil. The reports circling the Kollywood arena that this Tamil remake will have Ajith too in a very special role of an encounter specialist. It has become very common in the Bollywood industry for multiple heroes to appear in the same project. With this film even Kollywood will be beginning to tread in the same path. If this story materializes then it will be triple treat for the film buffs to see Kamal Haasan, Mohanlal and Ajith all in the same screen. Yavarum Nalam (13B in Hindi)which is Directed by Vikram K. Kumar, starring Madhavan and Neetu Chandra, Yavarum Nalam is a refreshing, bilingual (Tamil and Hindi) film in the horror genre. T he director, who is on Cloud Nine with this news, says, “I’m on top of the world. I am too excited and it’s taking time to sink in. The Indian film industry is enjoying a whale of a time in Hollywood. Looks like the East-meets-West season has finally arrived. It is a Tamil/ Hindi movie’s turn to make it to Hollywood. Vijay's intro song in Vettaikkaran is currently shooting in Rajamundry. The shooting is expected to end on March 18th, after which the crew will move to Chennai to film some talkie portions.The intro song is being shot in a magnificent set built by Milan at a cost of several lakhs of rupees. Eminent dance master Shobi (of Sivakasi and Villu fame) choreographed the dance sequence of this song. Vijay is said to be very keen in displaying some never-seen-before dance steps and stunts in Vettaikkaran. Babu Sivan stated that all the other songs will be shot in foreign locales. 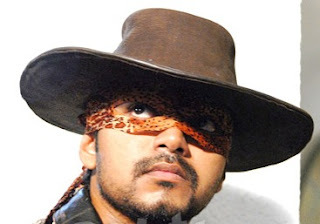 He further added that Vijay will don four different getups in a song! Anushka, the leading lady, plays the role of a software engineer. And this young lady is going to be quite an attraction in the movie, says Babu Sivan. Will Vijay’s Vettaikkaran gives big hit.. It is a great moment of pride for every Indian that finally the personal belongings of Gandhiji have been won in an auction by Vijay Mr. Mallya and the same are being brought to India. Mr. Mallya, who was among 40 registered bidders, including several Indian Americans, was ready and went up to a whopping $1.8 million to clinch the deal. Mr. Mallya said"I will always have the emotional satisfaction of having bought them and gifted them to the government of India,"
Mr. Mallya wants to gift the memorabilia to the Indian government, Mahatma Gandhi had appointed the Navjivan Trust as the sole heir of his personal belongings through a will registered in 1929. 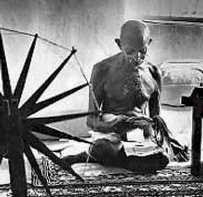 It will take a while for the Gandhi memorabilia to come back home. The US justice department has asked the auction house to hold the lot for two weeks pending a resolution between the new owner and the US and Indian governments. Star Vijay amazed all with his appearance in a string of Coca Cola ads on TV. Six years later, Coke has once again taken Vijay to endorse their product! the second week of March, Coke will be launching brand-new commercials featuring Vijay. the ad will be like has been kept a secret. Wow.. is it Amazing! !